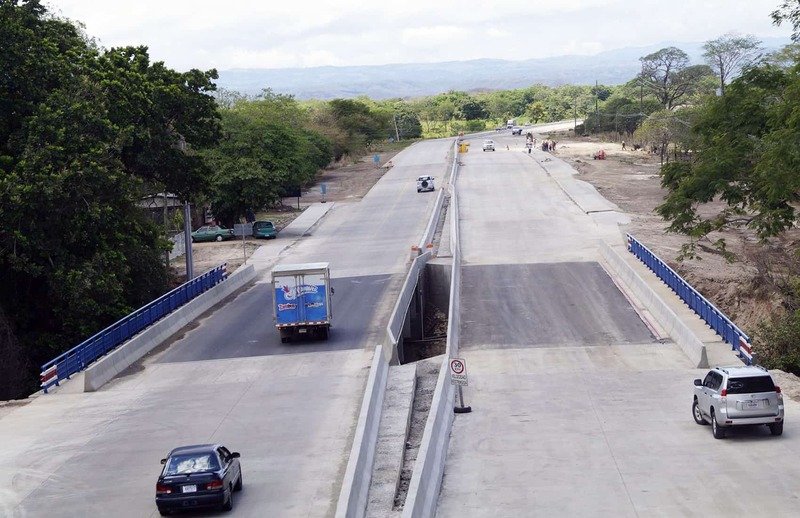 The expansion from two to four lanes of the highway between Cañas and Liberia, Guanacaste, originally scheduled to be ready in May of last year, will take up to six more months past the previous July 2015 deadline set by the Public Works and Transportation (MOPT) earlier this year. MOPT in April 2014 announced the project would be delayed a full year due to changes requested by the government in the original specifications of the contract awarded in a public bid to Spanish construction company FCC. National Roadway Council Executive Unit Manager Carlos Villalta told The Tico Times that a definitive date for finishing the project is still yet to be defined, as situations outside the contractor’s control are affecting the project’s timetable. “The most important of those is the relocation of public utilities infrastructure that is still under development. Our most recent projection is that the highway could be completed by the end of this year,” Villalta said. According to MOPT’s report, work on the $133 million project currently is 75 percent advanced, meaning the completion of 45 of 50.5 kilometers. The project also includes the construction of 11 pedestrian bridges, three intersections, 18 new bridges and the rehabilitation of 18 existing ones. Construction of new bridges, however, is expected to conclude in February 2016, according to MOPT’s estimates from March. Among the changes to the original plan, the government last year requested additional improvements to safety conditions on the road. Those changes required a contract extension for $41 million on the project that is being financed by a loan from the Inter-American Development Bank.